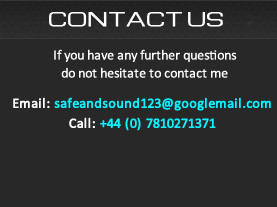 At SafeandSound Mastering I have been using the Manley Massive Passive for more than a year now. It is an equalizer that has seen a lot of usage ! The Massive Passive is as its name implies an equalizer that utilizes passive electronic components. Passive components do not require an electric signal to energize them, instead they impart their characteristics when a signal passes through them. Passive components are namely inductors, capacitors and resistors, together they can produce filters. Whilst the filter components are passive you do need a make up gain amplifier to counter the electrical losses caused in the passive components. And what an incredible make up amplifier the Massive Passive has. Using a total of 6 valves (4 x 6414 Raytheon tubes and 2 x 12AX7’s) in Class A, this make up amplifier is sublime. The amplifier itself is very clean for a valve based design but it definitely has an airy and sweet top end sheen along with a true tonal response throughout the spectrum. The difference between an active equalizer and a passive equalizer is that for example, when you boost 5kHz what is actually happening is a cut at all other frequencies other than then band you are trying to boost. This is why additional make up gain is required in the form of a Class A valve amplifier as the entire spectrum with exception to that which is being “boosted” is being attenuated. The Massive Passive has audio transformers at it’s inputs and output which also add a little analogue magic and stereo depth. The MP is built to last, the quality of the build is phenomenal, from the machining of the thick front plate, the chunky and smooth feel of the knobs and switches and the components themselves inside. Many of the inductors and transformers are designed and manufactured by Manley themselves. Inside you can see the quality of the build in how everything is laid out on independent PCB’s and with very neat wiring and only the highest quality components. Then at the rear you have 6 glowing valves (3 per channel) running off of a 350 Volt power supply. An interesting feature of the Manley Massive Passive is that it has the option to switch all bands to be a shelving type equalizer curve and in addition each band can interact with the adjacent band providing useful and flexible options (if not initially unpredictable). The MP is also a parallel equalizer design which means that if you boost the same frequency using 2 bands the net result is not the sum of the gain settings. So at first the equalizer needs to be experimented with in order to understand how it affects the sound. The manual is a good guide as it explains these interesting quirks and some of the unusual curves the shelf settings are capable of. Incidentally every band can be set to a shelf type further enhancing it’s sonic sculpting ability. To my ear the massive passive is one of the most beautiful, euphonic and natural sounding equalizers I have ever heard and it gets used on many of the jobs that pass through through studio. The sound of the equalizer is so good it is very difficult to make the sound bad even with extreme settings, it really is exceptional at broad (wide Q/bandwidth) corrective equalization. 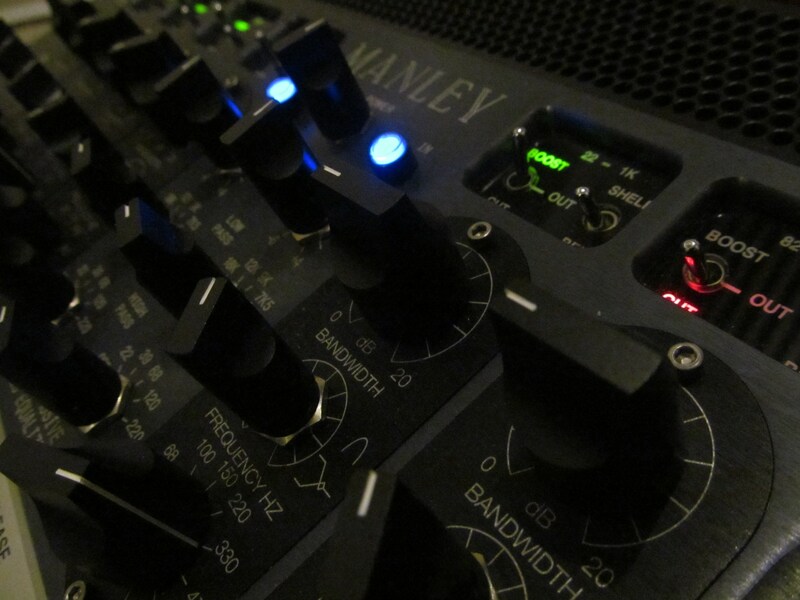 Ownership of the Manley Massive Passive is a joy and so is its use, bringing stellar end results, it is hardly a budget unit and it does cost a little in maintenance as the valves do need to be replaced periodically. All in all an exceptional item of equipment with build quality that would not be out of place in the cockpit in the NASA space shuttle. Very pleased to be using it in the studio.